At A. Oliveros Transportation our standard is a culture of safety. We do not believe that the safety of our passengers is negotiable. In order to provide our customers with the safest possible transportation, ourare subject to a comprehensive inspection and maintenance program. We are in the business of transporting the most precious cargo imaginable and it is imperative that our equipment is performing at the highest level. 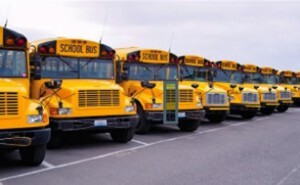 We consider ourselves the gold standard in school bus transportation. Our drivers are professionals with all of the certifications required to operate our busses. All of our operators possess a Class B Commercial Driver’s Licence better known as a CDL. This is not simply a certification that is tacked onto a standard driver’s license. There are numerous written exams to complete, a walkaround test, a practical driving competency test and a maneuvering course to pass before a CDL is issued. CDL holders, in general, are held to a higher standard than those with restricted licences. Traffic violations and safety infractions are taken with greater seriousness for a CDL licence holder. Certifications such as this are a consideration before our drivers begin the hiring process. Additional company policies are in place to further ensure that we have experienced and safety conscious drivers. The goal of these safeguards is to provide our passengers with a worry free experience, and the piece of mind knowing our drivers are professionals you can trust. Next time we will explore what is involved in the maintenance and inspection process, and why our bus transportation is the safest choice.